Originally a small fishing village in the borough of Christchurch in Dorset, Mudeford lies at the entrance to Christchurch Harbour. The River Mude and Bure Brook flow into the harbour there and Mudeford Sandbank - or Spit, as it's locally known - is a sandy beach adjoining Hengistbury Head. The Spit is renowned for its beach huts. Unlike other beach huts, Mudeford Spit's have residential status and owners can stay overnight from February through to November. 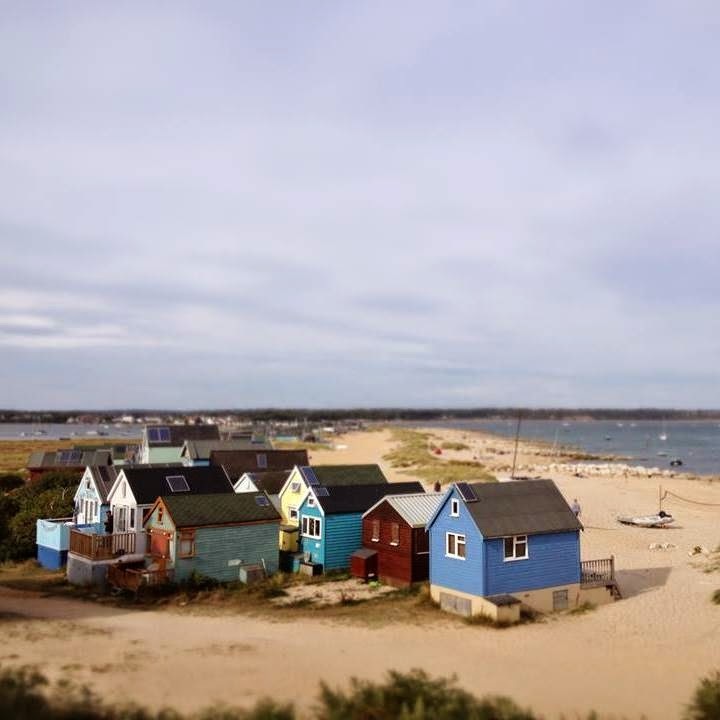 The beach can only be reached by foot, bicycle or the famous 'Noddy' land train from the Hengistbury Head car park. A ferry runs regularly from Mudeford Quay and Christchurch Quay during the summer months.